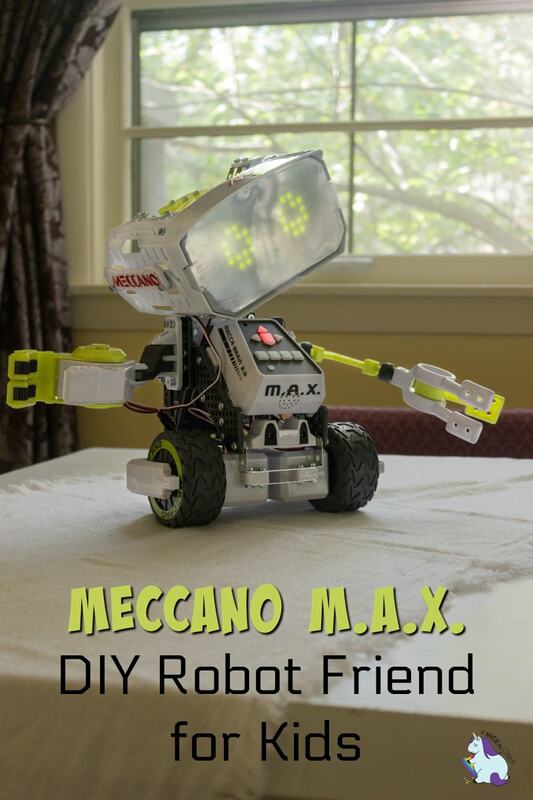 DIY Projects for Kids - The Coolest Robot in Town Meccano M.A.X. 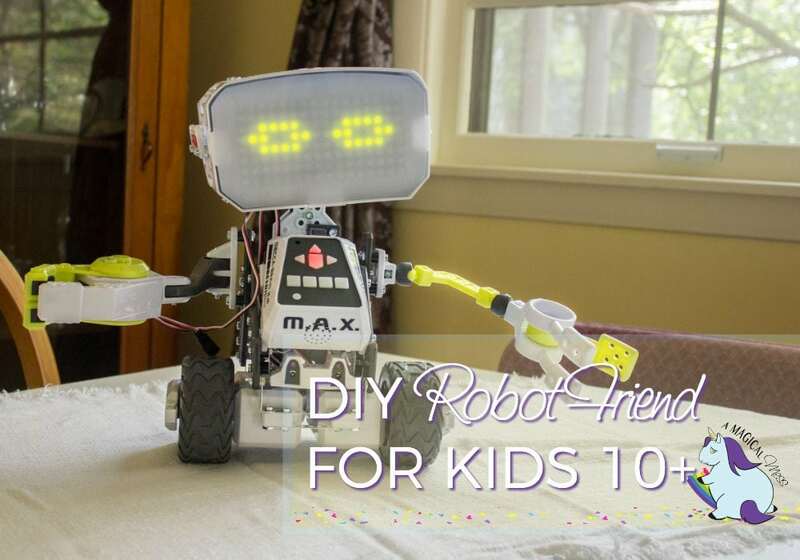 Home » DIY Projects for Kids – The Coolest Robot in Town Meccano M.A.X. 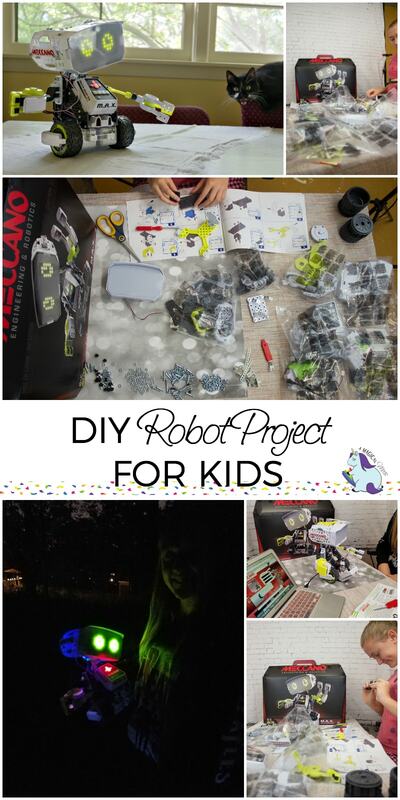 DIY Projects for Kids – The Coolest Robot in Town Meccano M.A.X. The satisfaction and sense of accomplishment you get when you complete a big project is one of the best feelings in the world. It’s for that reason I love seeing my daughter take on–and complete–larger scale projects. This DIY project for kids is suggested for ages ten and up. But, you know your child better than anyone. My daughter is twelve and has always struggled with fine motor skills. She can dance, tumble, and master almost all gross motor challenges with ease, but when it comes to tiny moving parts, she has to use a lot of focus. This post is sponsored by Spin Master. All thoughts and opinions are my own. The Meccano M.A.X. 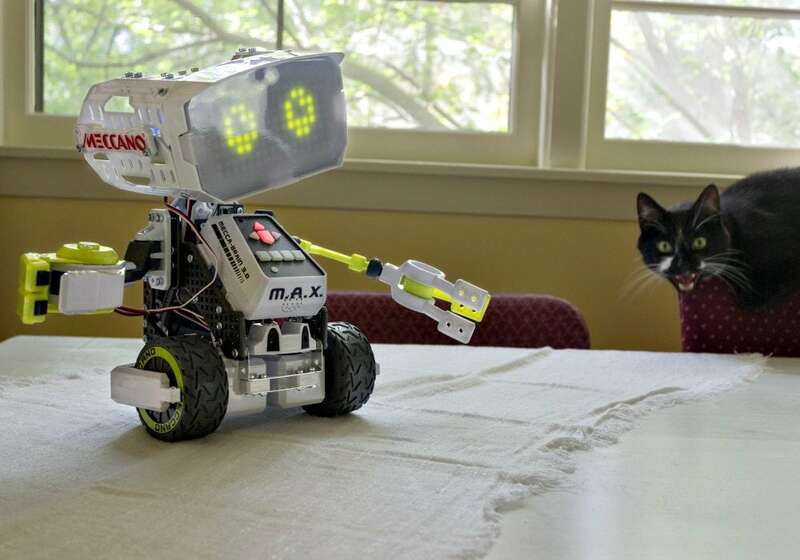 robot is our favorite STEM DIY project to date. It was a challenging build and took my daughter and me as a team about two hours and 45 minutes to complete. The materials are excellent quality, and the instructions are pretty easy to follow–just make sure you start charging the battery first. This should be Step 1, but otherwise, the illustrations are spot on. There are a lot of tiny parts that require the use of skilled fine motor abilities that even I found slightly challenging. Overall, we had a wonderful time working on this together. Upon completion, we both felt like boss-level engineers. We kept all the parts in the bags to prevent pieces ending up everywhere. Organization is key. Take breaks. There are 66 steps for the build, and we did it in two phases to keep it fun and not overwhelming. Take your time and have fun! Follow the illustrations exactly, and you’ll be set. On top of the build, you get to program M.A.X. and experience the process of him “learning.” He grows with you–as he learns more and you interact, his behaviors become more advanced. He really does become a member of the family. Even the cat has grown fond of him! Stewie now naps perched on his favorite chair right next to M.A.X. and meows at us when we try to take M.A.X. away. M.A.X. comes with a built-in Delivery Mode that allows you to secure an item in his hands, send him off to find somebody, and play a custom message to your recipient! By telling M.A.X. the name of your intended recipient and by inputting a basic navigation path on his Directional Buttons, M.A.X. can use his IR sensor to avoid objects and his microphone to find your recipient. M.A.X can learn over 50 jokes and even some of your originals. By creating individual sound files (intro, set up, punchline, outro, etc.) and adding a custom L.I.M. animation to give M.A.X. some body language, you can have M.A.X. perform your very own joke! M.A.X is made by Meccano, the makers of the classic Erector Sets. Codebreaker is a game that transforms M.A.X. into a ticking time bomb. One player will program a secret code, and the player must crack the code by figuring out the sequence of inputs (button presses, head and claw movements, etc.). Failure to do so by the timer’s end will result in M.A.X. exploding with a giant fart! Meccano M.A.X. is a phenomenal gift idea for this holiday season or any time of year. Parents and kids will love the experience and getting to know their new friend. The gift of STEM learning, fun, and a brag-worthy buddy is sure to win all the smiles. Find out more and purchase this DIY project for kids now! Ha ha. The cat is so funny in the photos! This sounds like a really cool toy that is engaging, educational and actually has a bit of personality for a robot. This is going to be one of the top gifts for Christmas. That looks seriously so cool! I love encouraging my kids to explore and STEM projects are perfect for that. Your robot will be a great holiday gift. M.A.X is super cool! Wow, your daughter did such a great job with building him. That is so cool how he grows with you. This would make a great Christmas gift for my kids! My kids love making and building things. I try to find projects to appeal to their engineering minds. This sounds like just the perfect gift! What a fun robot!! I know my son would love this, I love how much STEM is helping kids learn. Okay… how awesome is this?! You can build your own robot. My childhood dreams would have been made. How cool is he? I think I need my own robot. Maybe my cats could like one too!